Buying a house is stressful enough when you buy it in the state where you currently live. Buying a house out of state adds a whole new element to purchasing a home. There are additional difficulties associated with buying a home out of state. When trying to buy a house out of state, you cannot tour open houses or even drive by homes for sale. You also cannot speak with anyone in the neighborhood to get a feel for what the area is like. These are only some of the issues facing homebuyers who are purchasing a house out of state. Buyers looking for a home out of state need all the extra help they can get to make the process as successful as possible. 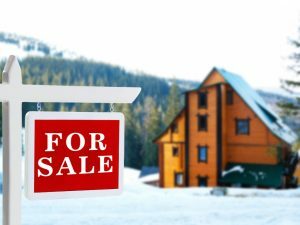 Fortunately, there are a number of tried and true techniques for overcoming the drawbacks of house-hunting across state lines. Not only are these methods effective for homebuyers who are out of state, but they are also useful for homebuyers even if they are purchasing a home within their states. One of the top tips for buying a house out of state is to be extra alert for scammers. Sellers with bad intentions have a much easier time manipulating buyers who are out of state, since it is harder for the buyer to confirm information or confront the seller. Never pay any sellers money without a written contract clearly spelling out what you are receiving for the payment and what guarantees you have on the service. Never give out your personal information without researching the license, certification or business status of an individual or organization. You can learn many facts about a home and its surrounding neighborhood without ever going to see it in person. When buying a home out of state, this research becomes important, both to avoid scams and to find a house you are happy living in. You can use online tools such as Google Maps to view the home and neighborhood you are interested in moving into. Locate all the hospitals, schools, parks, restaurants and stores in the area. Contact the seller’s agent or county clerk’s office and find out if you can get a plat map of the neighborhood and a blueprint of the home. Learn the home’s history, like when it was built, what renovations it underwent and how many owners it has gone through. Check out pictures of the home online and, if any areas are unclear to you, ask the seller’s agent if you can see additional pictures. No one should buy a home without a real estate agent. However, this is especially true for those buying homes out of state. Find an agent who knows the areas where you are looking. Let your agent be your eyes and ears in the area. Stay in constant communication and ask questions. To find an agent you can trust to work closely with you despite your long distance, seek referrals from references and organizations you trust. Always interview potential agents before hiring one. Related Article: When is the best time to move? Other designations to look for include agents who are certified relocation professionals (CRP) or at least certified residential specialists (CRS). If you cannot meet one in person, talk on the phone or use video chat. Read client reviews and research agents’ sales data. You must find an agent who you feel comfortable with and understands your needs. This is especially important since the majority of communication with your agent is long distance, which makes it harder to clarify issues compared to in-person meetings. Consider asking your agent to take you on a video tour of the home using an app like Facetime or Skype when you find a house you are interested in buying. If you cannot find an agent with a CRP designation, consider adding a relocation specialist to your team. A specialist can aid you not just in housing-related needs, like finding an agent, movers, title companies, inspectors, appraisers and contractors but in all other aspects of relocating to a new state as well. Relocation specialists can even help negotiate lower rates on services and serve as your advocate if problems occur. Specialists make money from vendor referrals, so you are not charged anything for their services. Do you know anyone already living in the area where you are looking to buy a home? If so, ask this contact to see the home on your behalf. Get his or her opinion on the place. Ask him or her to pay particular note to the things you cannot necessarily detect from a video, like the sounds or smells of a place. Are inspections required or just advised? If an inspection is conducted, when in the process is it supposed to be done? What is considered an appropriate earnest money deposit? How soon after going into contract does closing occur? If you can only make one trip to visit a home before you buy it, make it the same time the inspector goes to inspect the home. Accompany the inspector on the home inspection. Let him or her explain everything he or she discovers to you. If you schedule both an appraisal and inspection, the inspection is the better one to attend. An inspection is better because it reveals more fundamental underlying issues about the home. If there are issues, these can cost much more to deal with than anything found during an appraisal. While the appraisal gauges the home’s basic value, the inspection indicates how much the home costs to live in safely and comfortably. Seeing a home once through an inspector’s eyes can be more valuable than any number of personal visits on your own.